Do you clean frequently, but dust in the home keeps showing up on your furniture? Do you have allergies or allergic reactions from dust? Are your children sneezing more or experiencing increased allergies or asthma while they’re indoors? 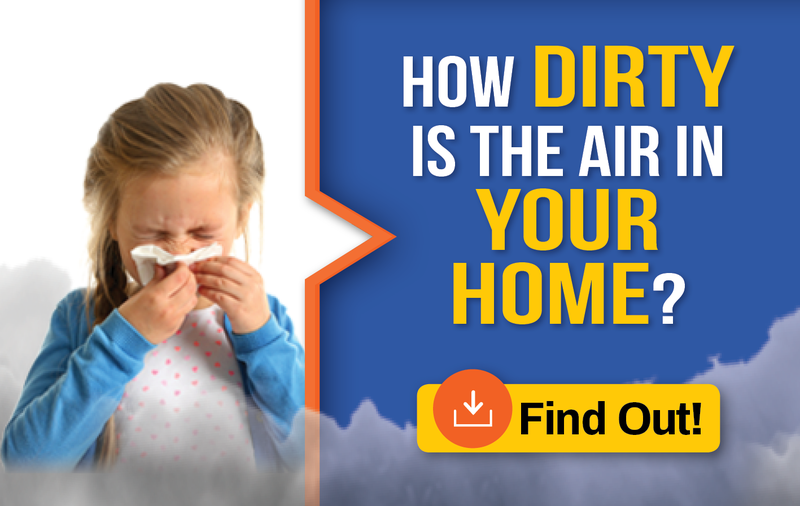 If you have allergies from dust in the home, air duct cleaning can help! The quality of the air you breathe defines the health and well-being of you and your family. A single piece of dust in the home can contain flakes of dead skin, pet dander and living organisms like mold spores and dust mites that irritate nasal passages, causing allergies from dust or mold. Most people are happy as long as their home is neat and clean and as long as the heating and cooling system is doing its job, but when it's not, what's circulating inside your ventilation system may actually be contaminating the indoor air. According to the Environmental Protection Association (EPA), Americans spend 90% of their time indoors. That, along with the fact that indoor pollutants can be up to 100 times higher than outdoor air, think what you may be breathing on a daily basis! Eliminate dust in the home and allergies from dust with air duct cleaning. Call (877) 800-2382. CAN YOU HAVE ALLERGIES FROM DUST? Possibly! Did you know that the air inside of your home is much more prone to pollution than outdoor air? That’s why NADCA Certified air duct cleaning is so important. Air duct cleaning improves indoor air quality by removing contaminants and dust in the home and circulating clean, fresh air. If you or someone in your home has an allergy to airborne substances, you may have heard about air duct cleaning. Air duct cleaning involves removing the dirt from the surfaces of the air ducts inside your home in an effort to reduce the levels of particles in the air. Air duct cleaning helps to reduce the amount of dust in the home and other pollutants in your home’s air conditioning ducts. This helps prevent allergies from dust and makes air duct cleaning an important part of creating and maintaining a healthy living environment. The experts at AdvantaClean can assess your indoor air quality, and provide you with a solution if you're air duct system is determined to be in need of cleaning.